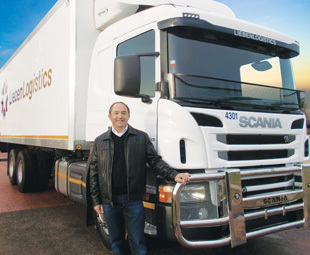 The LiebenLogistics story sounds a bit like a fairytale; the only thing that is missing is a glass slipper, but, as CHARLEEN CLARKE discovers, this so-called fairytale has the required passion, innovation and – most of all – tenacity to grow from a single-truck operation to one of the most respected transport operators in the land. R1 350 a month (I had turned down a position at City Tramways, where they were paying R1 300 a month). Then, when Mainline was acquired by a listed company, I decided that it was time to branch out on my own,” he tells FOCUS. 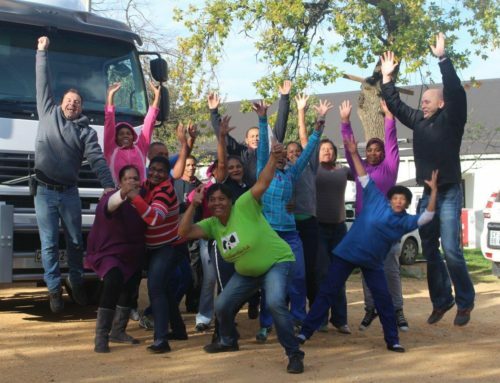 It was thus that LiebenTrans was born in November that year – with no vehicles and only a commitment from a customer that it would contract three secondary distribution vehicles to transport fresh meat from Cape Town to the southern Cape. The fledging company’s first challenge was raising capital. “This was overcome when Absa granted funding on the basis that a second bond be taken out on my house. This could then be used as a deposit on a single truck. I had no operating capital whatsoever. It was incredibly tough!” Liebenberg recalls. The wheels of that first and only truck – a Mercedes-Benz 1617 fitted with a sleeper cab and tag axle – started turning on February 19, 1996. “For the first three months, we transported two loads of fresh meat carcasses to the southern and eastern Cape each week,” he explains. When the loads were reduced to once a week, the company had no alternative but to venture into long-distance trucking with its distribution vehicle. “We did local work on Mondays and Tuesdays, then consolidated frozen products to Johannesburg from Wednesday to Friday. Then we returned with fresh meat and pig heads. It definitely was not an easy time for our fledgling business,” the entrepreneur notes. At that stage, Liebenberg employed a single driver by the name of Ernest Basson. “Over the years he progressed into the position of senior operations manager within the company, and today he continues to add tremendous value to the business,” he says. Liebenberg was the lone salesman for the business at this time and growing the customer base was hard. “In September 1996, I secured a new client in Vredendal. The company contracted us to transport lamb carcasses to Johannesburg. This necessitated the purchase of three more trucks from the Mercedes-Benz stable. We had enough cash for the deposit of two trucks; the third deposit was funded by bonding my late father’s house,” he tells FOCUS. By the end of 1997, the fleet had grown to ten MAN trucks. “Business started getting a tiny little bit easier, but access to capital for fleet growth was always challenging,” Liebenberg remembers. It was at this time that Liebenberg decided to grow the business via acquisitions and mergers. After two successful transactions (one in Upington, the other in Colesberg), the fleet had grown to 35 trucks by the end of 2000. Its focus remained on the transportation of meat. At the same time, the single most significant event in the history of the company took place. “One of the most prominent national retailers approached us and asked us to take over its distribution fleet in the Western Cape. Initially we were wary, because we were not familiar with the secondary distribution costing model,” Liebenberg explains. After tough negotiations (which continued for close on 18 months! ), he purchased 28 old trucks from the retailer, which had to be replaced over a three-year period. By 2005, the LiebenTrans fleet comprised 220 vehicles. It was then that a majority shareholding in LiebenTrans was acquired by a listed transport company. “This partnership was too restrictive and I couldn’t apply my entrepreneurial skills. So I sold the balance of my shares in 2008,” Liebenberg reveals. Liebenberg subsequently bought back the retail distribution business – and formed LiebenLogistics in 2011. “We re-entered the fresh meat market and today we run a fleet of 300 trucks. Long haul and secondary distribution each represent 50 percent of our business,” he tells FOCUS. LiebenLogistics started acquiring Scanias back in 2007. “We are very satisfied with the performance of the Scania vehicles in our fleet, which is why we have placed an order for 150 new Scania trucks. 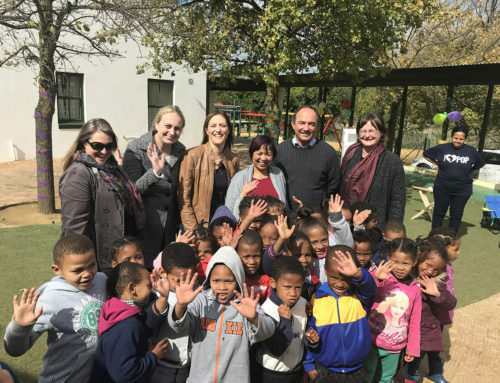 This forms part of our replacement and expansion programme,” says Liebenberg. 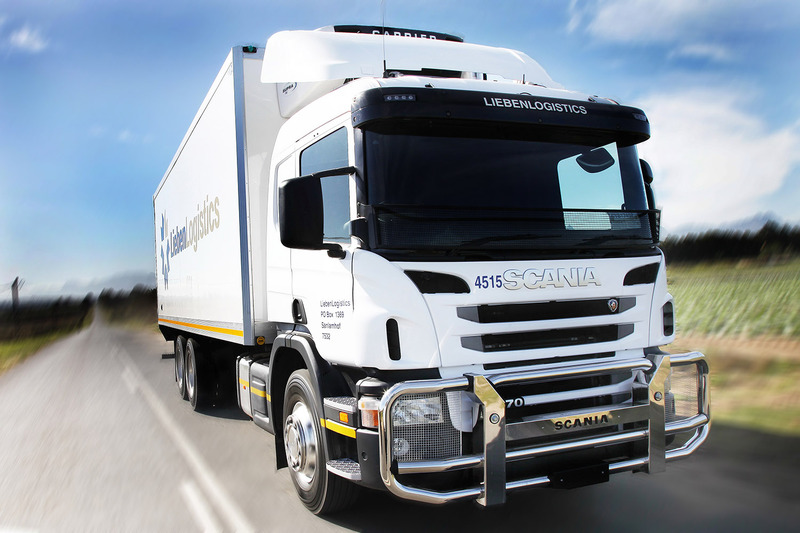 This order, which was placed with Scania Cape Town, is a real feather in the Scania cap. “The total lifecycle cost of the Scania trucks was definitely the best,” says Liebenberg. “Exceptional aftermarket support from our strategic partners is critical to achieving the just-in-time and on-time deliveries that are so critical to our customers. We have received very good support from the entire national Scania dealer network. They deliver exceptional service and are well represented geographically, which dovetails effectively with our national long-distance operations. Furthermore, Scania understands the critical importance of parts availability and rapid response times in the event of breakdowns. The support that we receive from senior staff locally and from Sweden is of the highest standard,” comments Liebenberg. One of the reasons for the success of the company is its long-standing partnerships with customers. “In order for these relationships to prosper we have to ensure that we operate the most economical and cost-effective vehicle configurations with a 100 percent fleet uptime. As such, we have conducted various in-depth lifecycle analyses to ensure that our fleet’s replacement policy is optimal,” says Liebenberg. Yet another key to success is a focus on people. 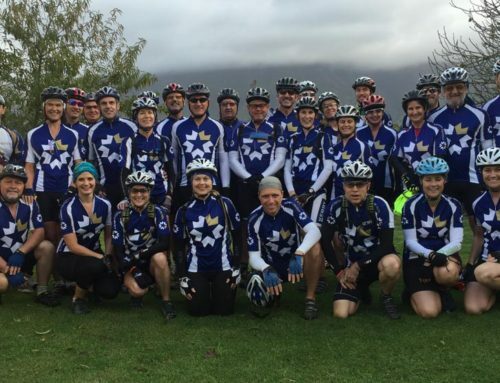 “We have an extraordinary management and support team. Many individuals have been with the company for over 15 years. We also run internships during the university holidays and offer graduates employment so that we can introduce new blood into the company,” says Liebenberg. 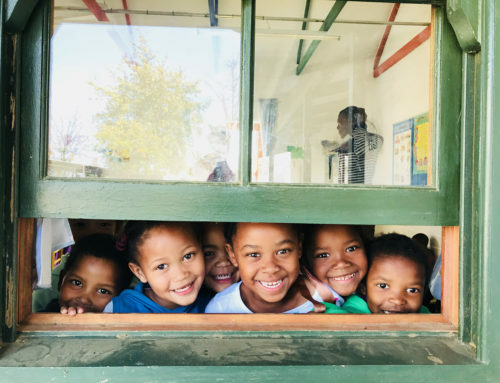 On the subject of learners, the company is proud of its social development programme called Kids in Parks, which it operates in partnership with Pick n Pay, the Department of Environmental Affairs and Sanparks. “We recently acquired three new Scania Andare buses in order to transport our learner passengers and we are proud of have already carried 44 000 learners without an incident over the past ten years,” Liebenberg tells FOCUS. LiebenLogistics has also developed its own management software in order to bolster productivity. “Within the transport industry, there is need to operate more efficiently and to lower costs. This is forcing operators to get smarter in terms of systems and management tools. We employ a team of developers who focus on building our bespoke management systems. Our systems are continuously enhanced to increase productivity, improve accuracy, provide real-time analytics and enable direct integration with our clients’ systems,” says Liebenberg. Of course, despite these measures, things can and do go wrong – that is the nature of the transport game. “We try to minimise problems; we ensure that we deliver on our promises. This business is all about honesty, integrity and passion. If there are any service level issues, then open communication with customers is pivotal,” Liebenberg stresses. There certainly are ongoing issues that require his constant attention. “This is not an easy sector. It comes with ongoing challenges. Labour is a challenge and crime rates are rising constantly; this is becoming a substantial element in our total costs, which we have to factor in. We worry about the deteriorating condition of roads and the impact of toll roads. Access to affordable funding is an ongoing challenge. As a fleet gets bigger, so too the financial institutions become more nervous and access to finance becomes tricky,” he reveals. Still, LiebenLogistics has faced these challenges head on and enjoyed phenomenal growth over the past 20 years. Today, the company employs 751 people and it is branching out in many directions. For instance, it has launched LiebenLogistics Africa, which has been operating into Angola and Zambia. “We think that there could be considerable potential in Africa, but there is also a lot of additional risk. So we are looking at it very carefully and we’re constantly mindful of looking after our existing business,” says Liebenberg. LiebenLogistics has also acquired GLS Supply Chain Equipment, which focuses on the design, manufacturing and management of supply chain equipment (hypercages, rolltainers, tote boxes and the like). GLS provides returnable packaging solutions and equipment used for the storage and movement of products within the supply chain. In conclusion, what advice does Liebenberg have for budding transport entrepreneurs? “First, you cannot succeed with one vehicle; 15 to 30 trucks equate to a viable business, because then you have economies of scale. Second, if you don’t have long-term commitment, experience, skill, knowledge, passion and capital – you should rather not start a transport company. Remember that this is not a glamorous business; it is a hands-on 24-hour game, and, if you don’t keep your finger on the pulse and focus on the basics, it doesn’t work. “Recently I was privileged to meet a very successful businessman in Brazil and I wanted to enrich myself with some of his wisdom. I asked him which critical factors had driven his business success. ‘You must work very hard and have some luck sometimes,’ he told me. We can certainly resonate with the hard work and the fact that we are constantly blessed beyond measure.